Ngura means ‘Our Place’. It is a program run in partnership between Wyong Shire Council and schools in the Wyong Shire, whereby local high school students have the opportunity to learn about Aboriginality and culture and achieve their Bronze Medallion in Surf Lifesaving. The early engagement with students serves to create a talent pipeline as they complete their secondary studies. The program runs for four hours/week over 10 weeks and is facilitated by Matt Sonter from the Central Coast Council; a Gamilaroi Aboriginal man with a distinguished rugby union career both here and abroad. Since 2010 approximately 400 students have graduated from the program. The District sponsors an employment and technology module within the program, which is facilitated by Wayne Merritt. 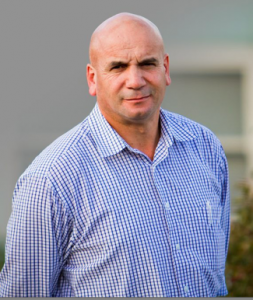 Wayne is a Wiradjuri man who has worked in the Aboriginal employment industry for over 20 years and is currently the Aboriginal Employment Co-ordinator for the District. practice preparing an application for a NSW Health position of their choosing. Since 2005 the District has operated a successful Certificate III level course Health Services Assistant (Acute) to educate and train prospective Assistant in Nursing (AIN) students. The program is delivered using the District’s educators through a Registered Training Organisation (RTO) and the Board of Studies. The course (on average) offers 20 student places per annum. As the District is positioned to become one of the largest providers of this course in the region, significant scope exists to educate a greater number of Aboriginal students for AIN roles and place them either internally (within the District’s facilities) or externally within the region.